The sensation of swooping above the ground in a high performance helicopter is quite unlike any other. A long favoured mode of transport for the rich and famous, it's the best way to gain a unique perspective of the British landscape. On this ten minute pleasure flight across the rolling Cotswolds, climb towards the clouds and soak up spellbinding views of the ground below, with the pilot pointing out local landmarks including the amazing remains of one of the largest Roman amphitheatres in Britain. Make sure to take a camera along on the experience so you can take plenty photos for reliving the experience and making friends jealous later. Set among vast parkland in Kent, this quintessentially British getaway provides the ultimate escape. Renowned for their award-winning treatments, Champneys maintain a reputation as the original health spa. Begin the experience with a selection of healthy snacks, before spending the day making use of the contemporary spa facilities, including a sauna, steam room, experience showers, hydrotherapy pool, relaxation room and heated pool, flanked by relaxation beds complete with wrap around curtains for optimum privacy. For complete indulgence, luxuriate with a 55 minute body radiance treatment, as well as a 25 minute rejuvenating pick me up facial. A tasty three-course buffet meal is also included - you'll be amazed at just how tasty the lunch can be! Indulge in a 24 carat facial treatment at Champneys Town and City Spa in Guildford and enjoy a relaxing and rejuvenating experience. Gold skincare treatments have illuminating and lifting benefits so be pampered with a 55 minute collagen gold facial and luxuriate in a gold face mask. Skin is treated with the ultimate 24 carat gold serum which helps to nourish and brighten complexions. The gold in the facial has anti-ageing properties which leave skin feeling firmer with a radiant glow. The treatment is suitable for all skin types and is full of ethical credentials, being certified both as halal and entirely free of animal products, gold and green in perfect harmony! 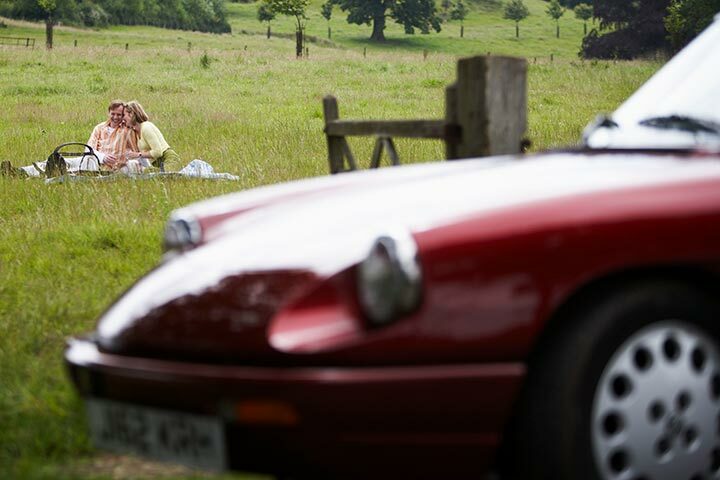 Grab the keys and take to the wheel of a classic car and enjoy some of the best driving roads in Britain. This driving day has something for everyone - a day out in a great classic car on some hand picked driving routes and a voucher towards lunch. So you can pull over, enjoy the view and some great food without wasting a minute away from the car. There is a great choice of two seater and four seater cars at locations in Worcestershire and Yorkshire. The choice of cars at each location varies but includes great classic convertibles, coupes and saloons from MG, Alfa Romeo, Jaguar, Triumph. This experience includes hire of the car, insurance, a voucher towards lunch , and a touring route. Fuel is included up to 100 miles. Some of the cars have space for extra passengers and they can be brought along free of charge. If you’re after a truly unique day out, you’ll love this hands-on hawk handling experience. 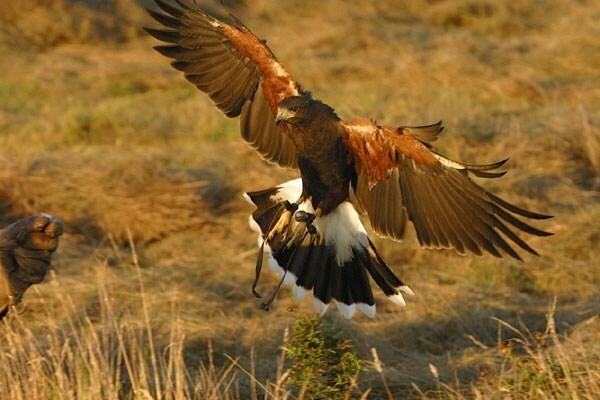 A great way to get to grips with a beautiful bird of prey, you’ll be amazed as a majestic Harris Hawk lands gracefully on your gloved hand – all under the guidance of a trained expert. These birds are renowned for their power and elegance, and you’ll learn countless fact about the species during your walk. We’ve taken our favourite formulas from a Korean Beauty regime to create this range of hardworking beauty essentials. This 8-step travel friendly regime includes skin, hair and body care infused with hydrating aloe and cucumber extract to ensure you stay fresh on the move. Key Features: Enjoy a variety of facilities for the day, including sauna, steam room and gym A day pass for two You and a friend can enjoy a day pass each for a health and fitness club, where you can make full use of all the facilities.Facilities do vary from one location to another but generally include a swimming pool, sauna, steam room and gym. Selected locations have a beauty salon, group exercise studio, jacuzzi and sun bed. Crèche facilities are also available at many locations.What You Need To Know:Your experience may last a full day. 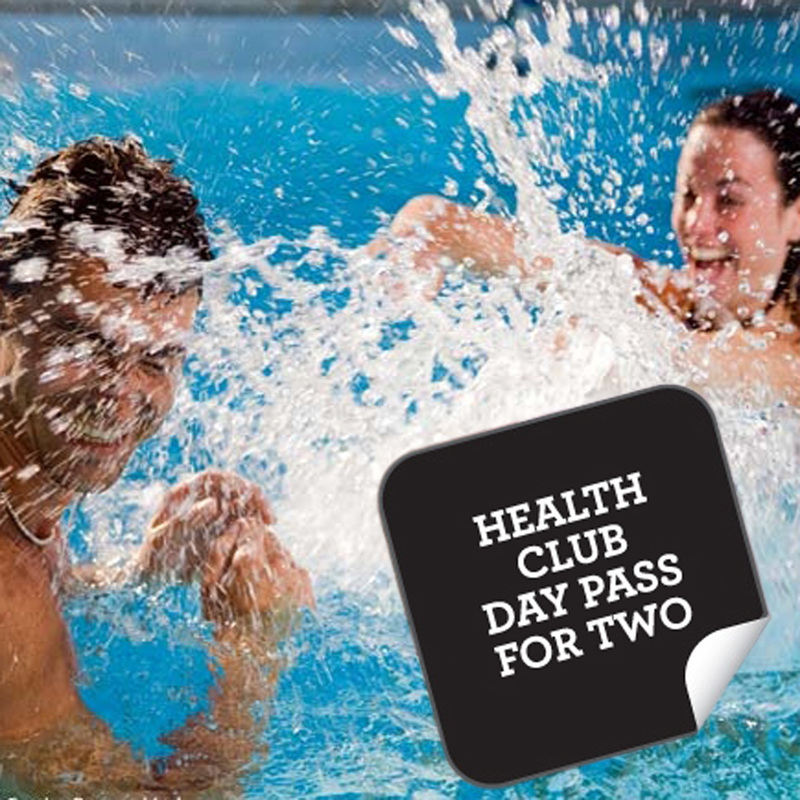 This voucher is for you and a friend and the health club will be open to other visitors. This experience is available Monday to Sunday, throughout the year. The minimum age is 18 years old.Please inform us of any skin allergies or medical conditions that may affect you taking part in this activity. A health check will be required which may result in the centre requesting a medical certificate.Locations:England:North: Peterlee, DurhamMidlands: Bourne, Lincolnshire; Grantham, Lincolnshire; North Hykeham, Lincolnshire; Sleaford, Lincolnshire; Spalding, Lincolnshire; Stamford, Lincolnshire East: Dunstable, Bedfordshire; Leighton Buzzard, Bedfordshire; Wyboston, Bedfordshire; Deeping St James, Cambridgeshire; Great Dunmow, Essex; Saffron Walden, Essex; Stansted Mountfitchet, Essex; Harpenden, Hertfordshire; London Colney, Hertfordshire South: Wokingham, Berkshire; Bromley, Kent London: WillesdenExpiry:The experience day gift pack voucher must be redeemed and used within the 12 month validity.How Will My Voucher Be Delivered? To An Email Address Of Your Choice (Free Delivery): If you choose to receive your voucher via email, this will be delivered to your chosen email address within 2 hours of purchase. You can send the voucher directly to the recipient or print your voucher & give as a gift. By Post:If you would like your voucher sent by post, please untick the email voucher tick box and your voucher will be delivered to your chosen delivery address selected at checkout. The Stag in Maidwell boasts a warm friendly atmosphere and beautiful garden terrace, making it the perfect destination for a relaxing getaway. Enjoy a glass of wine each on arrival and spend the night in one of The Stag's comfortable en suite twin or double rooms which includes a television and tea and coffee making amenities. During summer, the inn hosts a number of barbeques and outdoor events on the terrace and in winter months, the bar with its warming log burner is most inviting for guests to sit and relax in. For those wishing to venture slightly further afield, this base is perfect for exploring the local rural beauty in the village of Maidwell or local attractions such as Althorp House. A cooked breakfast is included. Enjoy a one night stay for two at Fairfield Manor - a charming hotel in six acres of grounds. This 18th century Georgian manor house offers you a stay in a classic grade double or twin room with en suite facilities, complimentary toiletries, TV and a hospitality tray of tea and coffee. A two-course evening meal and breakfast are included. Explore York, Harrogate and the Yorkshire Dales, or stay in and use the health club facilities (a five minute drive away) including an indoor pool, sauna, steam room and fitness arena. For wet 'n' wild high-speed fun, get involved with a Ringo ride for two at the beautiful Wyboston Lakes. After a full safety briefing, the experience itself lasts 15 minutes - plenty of time to test endurance and get thoroughly soaked at the same time. Hold on tight to the inflatable as it's towed rapidly over the lakes, encountering bumps and waves, twists and turns and heart-stopping jumps. Take a friend and embark on something new; Ringo rides are an invigorating and exciting option for celebrations, outdoor hobbyists. or even for a date with a difference. Enjoy this unique water sport as a standalone activity or as a supplement to others at the centre. All kit required for riding can be provided on the day, but be sure to bring a towel. Get behind the wheel of an Aston Martin and a Ferrari before you've even passed your test! Kick off with a safety briefing before sliding behind the wheel of the sensational Aston Martin V8 Vantage for over six miles of high-speed driving action around the Staffordshire circuit. Get your breath back before you climb into the driving seat of the mighty Ferrari 430 for over six miles, with an instructor on hand to offer helpful tips and guidance. At the end of the session, take home a commemorative certificate to show off to friends and family. 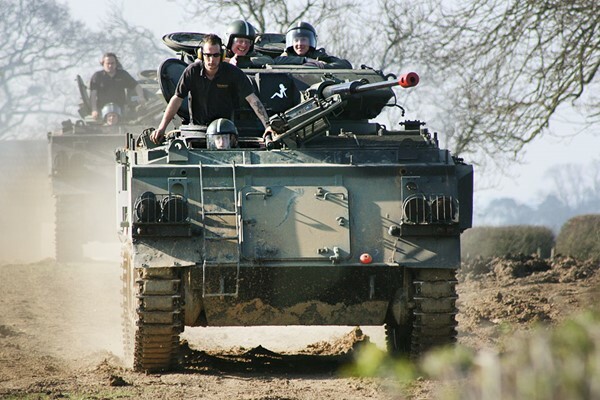 Now youngsters can also experience the thrills and spills of off road driving with this adrenaline-fuelled session in Kent. Begin with a driving lesson in a dual-controlled car in the safety of a large field. Next, take control of a Land Rover and put your newfound skills to the test on a challenging off road course which includes steep slopes, water ditches and deep gullies. After a break for lunch, attempt to perform wheelies in the crazy Powerturn buggy before trying to master the reverse steer Land Rover. Depending on the weather, finish by either venturing out on an action-packed quad bike safari or driving the rapid Apache rally car. This thrilling experience is essential for any budding junior off road driving fanatic! The ultimate battle - Ferrari's prancing horse versus Lamborghini's raging bull. Drive a Ferrari (either the 430 or 360, two of Maranello's finest driving machines), as well as the brutal and uncompromising Lamborghini Gallardo. After the instructor has taken you round the circuit in a performance car to demonstrate the racing lines, move into pure driving heaven by taking the wheel of the awesome Lamborghini for six miles. Having got breath back to go the distance again, driving the fantastic Ferrari fo another six miles. At some venues finish with a thrilling, white-knuckle, high-speed passenger ride. Also receive a certificate and completed driver analysis form as memento of this driving day. Head out to Windsor Castle on a luxury coach and experience over 900 years worth of rich royal history. From William the Conqueror to Queen Elizabeth, a range of monarchs have lived at this imposing estate, making it the largest continuously occupied castle in the world. Take in the grandeur of the castle, St. Georges Chapel and the magnificent state apartments. Stroll around the town of Windsor, filled with traditional shops and historic pubs, before reboarding your luxury transport and returning to London for a delicious lunch of fish and chips at Tattersalls Tavern in Knightsbridge. 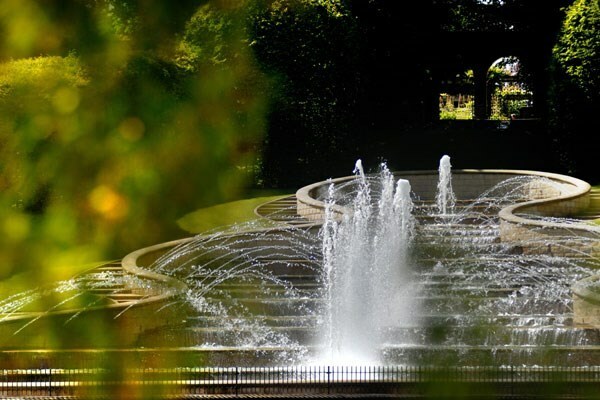 Escape the stress of city life with a luxurious pampering experience at London's COMO Shambhala Urban Escape. Enter the sanctuary of this acclaimed city retreat, sip on a refreshing ginger and Manuka honey tea and enjoy a soothing foot bath in peaceful surroundings. Next, unwind and let your cares float into space while a professional therapist performs a luxurious Dr. Hauschka facial. This holistic facial treatment is deep reaching and designed to not only revive, but stimulate the skin, leaving it looking and feeling younger, fresher and balanced. To complete this most perfect of indulgent experiences, enjoy a freshly made fruit juice of your choice and take away a COMO gift bag to enjoy at home. Release any unwanted stress and tension with an indulgent spa day at a Village Hotel. Treat a friend or loved one to a relaxing day together making full use of the spa facilities and enjoying your choice of three treatments each. You can choose to revitalise tired hands or feet with a manicure or pedicure, enjoy an express facial to let your skin glow or release those knots of tension with a back or foot and ankle massage – the choice is yours! 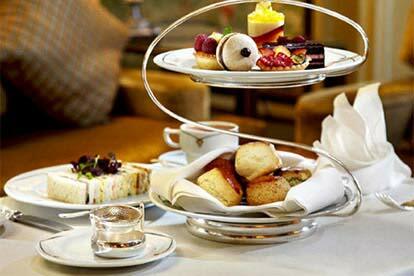 You’ll then be treated to a delicious light lunch to perfectly end your tranquil day. Step inside the Club Spa for a deeply purifying and relaxing personalised facial treatment. Your trained therapist will welcome you to the treatment room. Using natural aromas, the deeply relaxing massage will help remove impurities, calm and improve tone of skin. Then, receive a blissful scalp massage. You'll finish feeling relaxed and pampered, with the softest, cleanest skin imaginable. The spa has a relaxation area where you can chill out before and after your treatment. Indulge in a spot of pampering at The Crowne Plaza, Reading - a riverside retreat just a stone's throw from the city centre. Enjoy a relaxing one night stay including a £25 allowance per person towards a three-course evening meal at the hotel's Acqua restaurant (drinks are charged as extra) as well as breakfast the following morning. 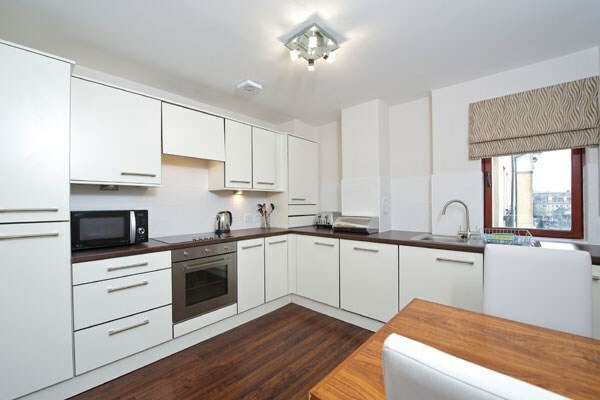 Stay in a twin or double room with en suite facilities. During the stay, enjoy access to all facilities at the hotel's Revive Health and Fitness Club (including swimming pool, spa, sauna and steam room), in addition to a luxurious 30 minute spa treatment each. For those wishing to head outdoors, the hotel is an excellent base for enjoying Reading's vibrant nightlife or exploring the River Thames. Voted number one hotel in Moray by Trip Advisor and boasting a number of other awards, Cluny Bank Hotel provides a home away from home for anyone looking to escape. Spend two nights in a superior-grade en suite twin or double room complete with modern amenities, classic furnishings and a complimentary bottle of wine. To unwind, Cluny Bank boasts a cosy lounge with comfortable seating, a roaring fire and an extensive selection of single malts to try. Outdoor types can take in the local area by joining Scotland's famous whisky trail with a trip to a local distillery, playing nine holes at Forres Golf Course or enjoying a leisurely hike along a scenic local nature trail. A hearty cooked breakfast is also included. The Knight Residence provides comfort and style with outstanding customer service in the heart of Scotland. Your short break will be a superior two night stay, including a bus tour and a welcome hamper upon arrival. Edinburgh is famed for its history and these exemplary apartments, always highly ranked in independent surveys, offer the ideal base to discover it all. Windsor Castle is the oldest and largest inhabited castle in the world, and the Queen of England’s favourite. Embrace the wind in your hair as we tour along the river bank. Lap up the freedom as we pass the sights and take in riverside life. Ring the bell and wave to passers-by and feel a million miles away from London. Located on a scenic cliff-top location above the river Thames, it makes the perfect destination for this gentle bike tour. After meeting at Windsor & Eton Riverside station, we jump on board our comfy bikes to begin our tour. Each bike comes with a bell and optional basket which is perfect for resting your coat or keeping your camera close to hand. All of the bikes are single gear, highlighting just how flat and relaxing the routes are. Suitable for any shape or size, they have a comfy leather saddle and leather handlebars for a smooth ride and easy cruising. The bike tour around the scenic Thames Valley is a flat and largely traffic-free 8 miles (13km) through country lanes and designated bike tracks. There is plenty of time to stop and take photos en-route. We pause for morning or afternoon tea in the walled garden of a Tudor mansion, before returning to Windsor via the Olympic rowing lake and stunning views of the castle. A final cycle down to Eton College will reveal where 19 of our British Prime Ministers have been educated. 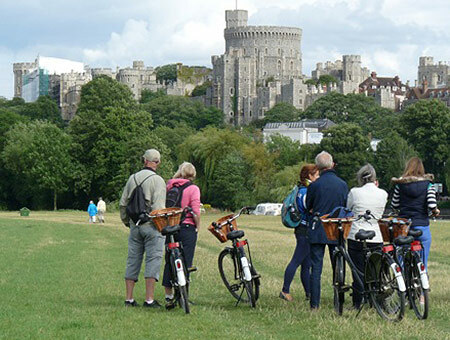 The tour finishes back in central Windsor, a short walk from the castle, the towns various shopping & eating destinations or trains stations for your return to London. A truly historic day out guaranteed!